stubby in a Pink-foot. Beware though that birds of the Eastern race A.f.rossicus have smaller bills more like Pink-feet. 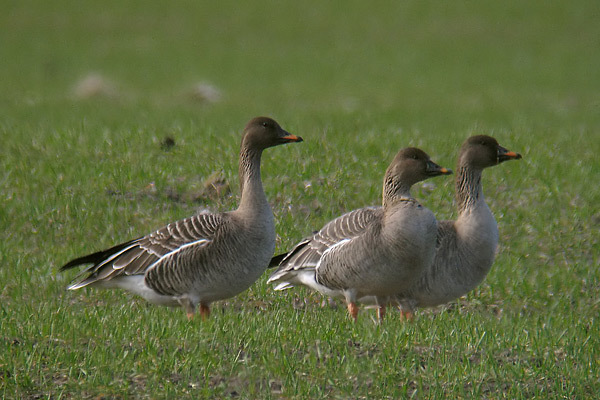 belly bars of the adult White-fronts. 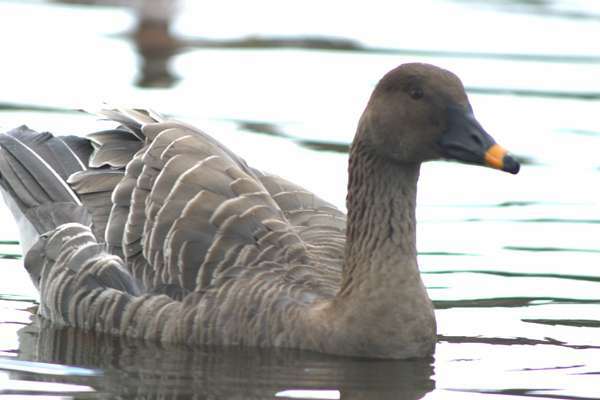 The Bean Goose (Anser fabalis) is a medium-sized to large goose breeding in northern Europe and Asia. 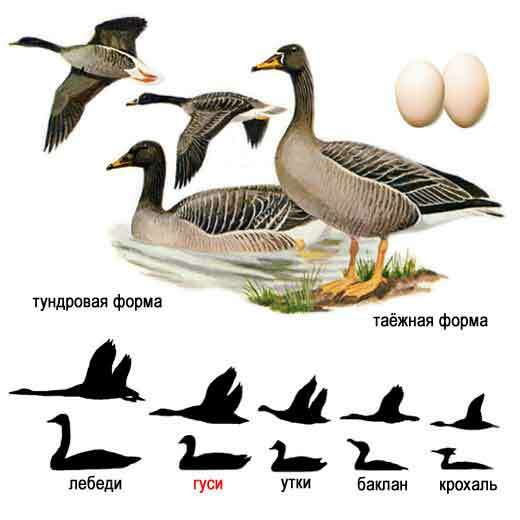 It has been split into two species by the AOU--see below. It is migratory and winters further south in Europe and Asia. (A. erythropus), but differing from these in having narrow white fringes to the feathers. It gets its English and scientific names from its habit in the past of grazing in bean field stubbles in winter (Latin faba, a bean). in the subarctic taiga, or on the arctic tundra. A. f. fabalis. Scandinavia east to the Urals. Large; bill long and narrow, with broad orange band. A. s. rossicus. Northern Russian tundra east to the Taimyr Peninsula. Small; bill short and stubby, with narrow orange band. the upper wing-coverts being nearly of the same bluish-grey as in the Greylag Goose.